Deoxys-EX, Computer Search, Full Art N & more await you on the Versus Ladder! 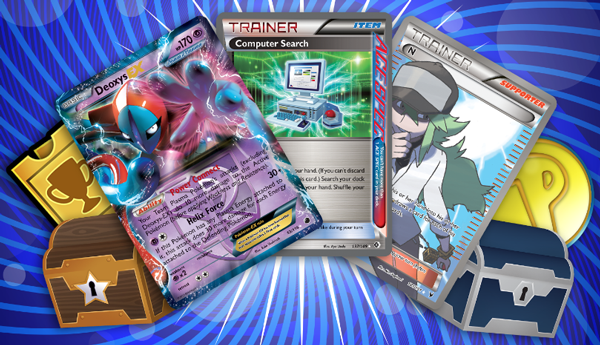 A new Versus Ladder has started in the Pokémon TCG Online! The Versus Ladder offers an exciting way to earn great Versus Rewards. Each Versus Mode match you win is worth 10 Versus Points, plus bonus points for defeating an opponent who had Advantage. As you accumulate Versus Points, you’ll unlock awesome rewards, including Trainer Tokens, booster packs, and even Pokémon-EX cards!